There are always aspects of starting and running a business that aren’t as much fun as the main job of making your mark in your chosen industry. Nevertheless, these essential background tasks need to be taken seriously, not just because you have a legal obligation to adhere to employment and trade legislation, but because being meticulous in dealing with these functions improves your overall efficiency as a business. 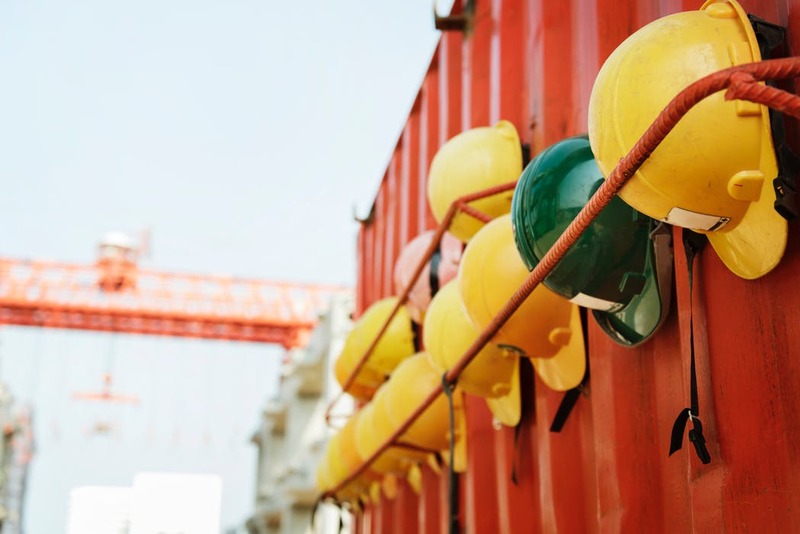 Health and safety is one of those responsibilities that makes business owners groan or sigh because to be honest, it can be a pretty tedious undertaking. However, neglecting the safety of your staff or customers could have severe consequences if anything goes wrong, so rather than putting off your health and safety duties, try to embrace them and make them work in your favor. The first action to take is to establish exactly what your responsibilities are, and you’ll find everything you need to know on the government’s Occupational Safety and Health Administration website. All businesses are covered by the OSH (Occupational Safety and Health)Act, exceptworkers whoare regulated by another federal agency (for example, the Mine Safety and Health Administration, the Department of Energy, or Coast Guard). You should make sure you read the information on this site and have a checklist with all your responsibilities listed so you can ensure you’re abiding by the regulations. · What does the OSH Act cover? The primary responsibility of an employer is to provide a safe working environment for their employees. You should examine every aspect of your workplace and check that everything conforms to the OSHA standards, and that staff members have the training and knowledge to carry out their duties safely. You should have a health and safety manual that is kept up to date with the latest OSHA directives or updates to operating procedures, and staff needs to be given time to read the new information and confirm in writing they’ve done so. You should also provide the information in alternative languages if you have staff whose first language isn’t English. Put up the OSHA official poster or your state-plan equivalent where all your team can see it, so they have easy access to a summary of their rights and responsibilities. Faulty equipment is a common cause of industrial injuries, so employees must have not only tools and machinery that’s checked for safety and well-maintained but sufficient training to make sure they know how to operate everything. You should use warning signs and symbols to remind staff of potential hazards and make sure they understand what the signs mean, as well as how to proceed if there’s a problem with any of the potential hazards, for example, if a hazardous liquid started to leak from its container. You should keep an accident book into which all work-related illness and injury is recorded. This isn’t a legal requirement in low-risk businesses with fewer than ten employees, but it’s good practice and allows you to keep track of anything that occurs. The information could be valuable in highlighting a problem in the workplace, or a need for staff training, and having a record of any incidents could be useful if a member of staff later complains about an injury they incurred. Once you’ve established all your OSHA obligations and ensured you’re fully compliant, you need to maintain your records and make sure everything and everyone is kept up to date. You should appoint a member of your team to take responsibility for these tasks, and it’s usually a good idea for that to be someone other than yourself. For one thing, your time is best spent on the core work of your business, and for another, it’s good to have a more objective appraisal of health and safety in your business. Your health and safety officer(HSO) should take charge of the day-to-day operation and maintenance of procedures and policies, but you’ll still have overall responsibility. Your HSO will also need to accompany the OSHA compliance officer if you’re inspected. Make sure your HSO is fully trained in how to manage health and safety, and consider providing them with a higher level of training to improve their capabilities as well. You’ve checked all your equipment, examined your environment, trained all the staff, and made sure you’ve complied with every requirement of the OSH Act as it applies to you. Now you can forget health and safety and get on with running your business, right? Well, not quite. Getting everything set-up is the first requirement, and the most time-consuming, but you still need to have routine maintenance and safety check plan in place. For instance, your flooring may be perfectly non-slip when you carry out your initial inspection, but over time it could lose its grip, or develop cracks, holes, or other faults that could lead to staff slipping or tripping. You should have a section of your budget that’s assigned to covering routine repairs, and the sooner you get the flooring fixed or replaced, the less chance there is of an accident occurring. If the flooring needs replacing, always go for the best quality surface you can, because a cheap replacement will be a false economy when it doesn’t last very long or isn’t fully non-slip.If you feel reluctant about spending money on these repairs and upgrades, you should read more about the advantages of using high-quality materials.After all, if an employee does slip and injure themselves and you’re found liable, it could end up costing you a great deal more than if you’d carried out the work sooner or to a higher standard. It might not be as exciting as finding new clients or developing a successful marketing campaign, but health and safety is a foundation for your business that ensures everyone who works for you is protected and secure. Without the OSHA regulations, you’d probably experience far higher levels of staff absence, which would have a seriouseffect on your profitability; so don’t neglect your health and safety responsibilities – they’re good for your business.